The transition from preclinical to clinical drug development provides a unique opportunity to probe the safety, tolerability, and potential efficacy of a new drug candidate. Prior to introducing a novel drug candidate into humans, sufficient preclinical evidence should indicate that it is well-tolerated and likely to benefit patients in a meaningful way. These assumptions are tested initially in the first-in-human and other early clinical development studies as the drug profile is refined and compared against an idealized set of benchmarks necessary for clinical utility and commercial success. 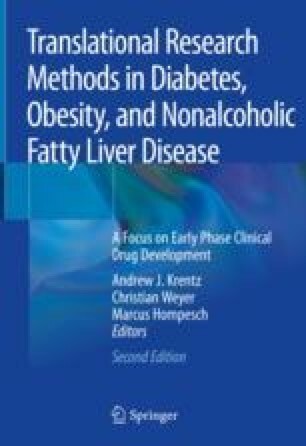 Thus, the transition to clinical development plays an important role in vetting those drugs most likely to establish themselves as new therapies and for which additional resources of development should be allocated to confirm safety and benefit during chronic dosing in a broad patient population. Examples of successful drug development underscore the inclusion of pharmacokinetic, pharmacodynamic, and target-engagement biomarker assessment to expedite the transition through to proof of concept. Challenges frequently arise in drug development and necessitate modifications in the development approach to navigate emergent findings both in the preclinical and clinical setting. World Health Organization Fact Sheet. Top 10 causes of death globally 2015. [cited 1 February 2018]. Available from: http://www.who.int/mediacentre/factsheets/fs310/en/.